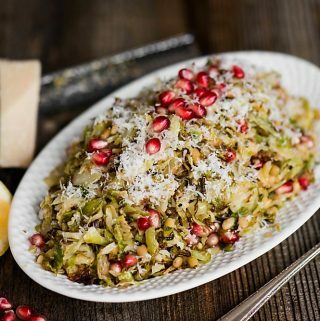 Roasted Brussels Sprouts Salad with parmesan, pomegranate, and a light lemon vinaigrette, is the perfect salad for any holiday or family dinner. Roasted Brussels Sprouts Salad is the perfect addition to any holiday meal. You’ll find a lot of recipes out there for raw Brussels sprout salad, but I much prefer the taste and texture of roasted Brussels sprouts. 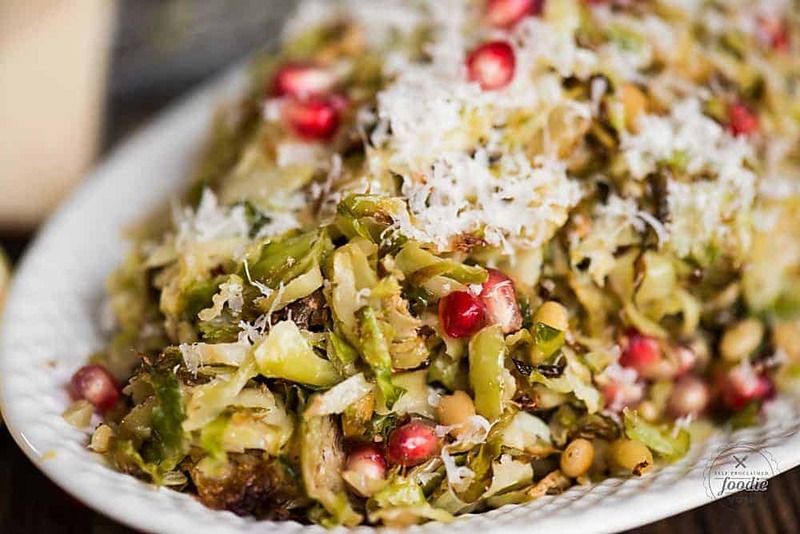 You may also find a lot of recipes where the Brussels sprouts are whole or halved, but my preference is definitely to make and serve a shaved Brussels sprout salad. When they’re shaved, or shredded, not only are they easier to pick up with a fork, but the roasting time is super quick! 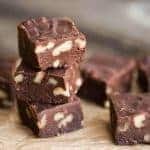 Before I get into the details of how to make this mouthwatering winter salad, I want to tell you about how I’ve been doing my grocery shopping lately and how, once you start using this service, you’ll never go back to your old way of shopping. Especially between now and the end of the year when holiday shopping is at it’s peak. I figured the best way to show you why I love using Clicklist at Fred Meyer is to share a screen grab of my account. Ordering is easy! I always thought the task of ordering groceries online would be daunting because I’m so set in my grocery store routine – I start in the produce aisle and weave my way around the store until I have everything I need. The thought of having to search for everything online seemed overwhelming. With Clicklist, I just sign in to my rewards account and it shows me everything I buy. Think about it, when you go grocery shopping, isn’t 90% of the items you buy, groceries that you’ve bought before? Clicklist has an easy to use search function. Type in the product you need or the brand and everything shows up. You can sort by your recent purchases. This makes filling your virtual cart a breeze. Don’t you always need milk, eggs, bread, etc.? I do! This is especially awesome the first time you use Clicklist because as long as you shop with your rewards card, Clicklist already has you set up. One of my favorite features is the Sale Items for You. Clicklist looks at my previous purchases and tells me what’s currently on sale. This is when I stock up on my favorites. Once your order is complete, you can choose same day pick up or a future time. With the busy holiday season already in full swing, I can’t even begin to tell you what a blessing this is. No walking up and down the aisles. No waiting in line. No loading your groceries from the cart into your car. With Clicklist, that’s all done for you. All you do is schedule your hour window in which you intend to pick up your order, show up during that time, call the number on the sign, and they bring everything out for you. One of my favorite Clicklist features is the fact that you can be super specific with your ordering instructions. 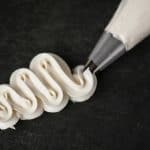 You can also specify whether you’re okay with substitutions and they always go over any substitutions with you at pick up to ensure you’re okay with them. Say that had to swap out one brand for another due to availability. They always honor the lower price of the two, regardless of which one you actually ordered and received. When I talk about how much I love using Clicklist to people who’ve never used it, one of the most common comments I get is “Oh, I like to pick out my own produce.” I can tell you that I’ve always gotten produce that is as perfect, if not more perfect, than something I would have picked out myself. Seriously. Onto the salad. Like I said above, when you think of a salad, you probably always think of using raw veggies. Brussels sprouts are quite bitter, but I love the flavor roasting brings out. This shaved Brussels sprout salad using roasted Brussels sprouts is absolute heaven. I really wanted a lot of contrasting flavors and textures, and that is exactly what you get. 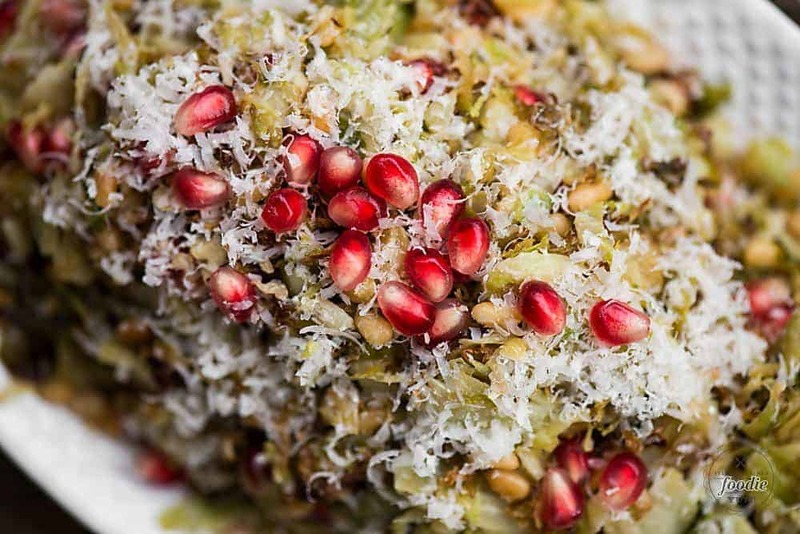 The bitterness of the Brussels sprouts is offset by the sweetness of the pomegranate arils. The tartness of the lemon is offset by the saltiness of the parmesan. 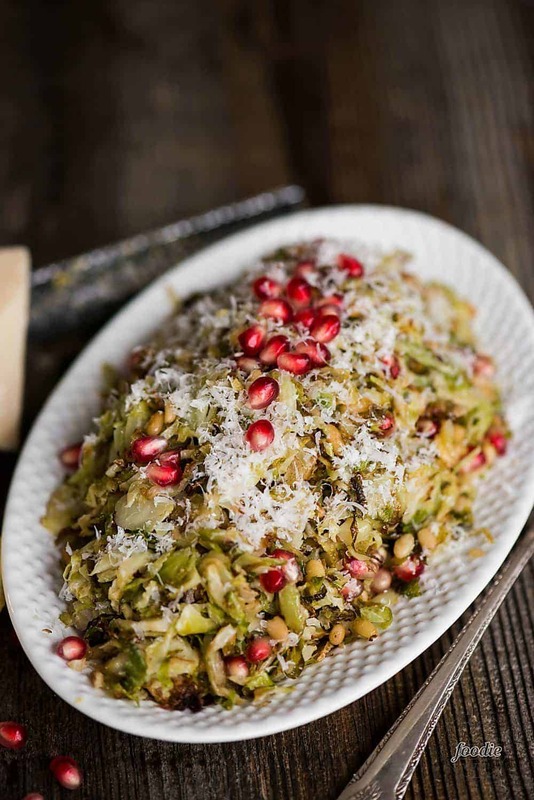 And the softness created by roasting the Brussels sprouts is complimented by the crunch in the pine nuts and pomegranate. It’s like a flavor explosion in every bite. I find this Brussels sprout salad to be the perfect addition to any wintertime family dinner and especially to holiday dinners. The red and green colors alone make it festive! The fact that the Brussels sprouts are sliced so thin make it especially easy for serving and it really cuts down on the cooking time. So, when you’re doing your holiday shopping using Clicklist, when you add your Brussels sprouts, pomegranate, lemon, parmesan, and pine nuts into your virtual cart, don’t forget to throw a food processor or baking sheet in there as well if you need them! That may be my most favorite part about shopping at Fred Meyer. I use them for all of my grocery needs, but when I need the occasional gift for a kid’s birthday party or Christmas decoration, they have me covered too! Preheat oven to 375o F. While the oven is preheating, prepare the Brussels sprouts by trimming off the end and removing the outer leaves. Thinly slice sprouts. To do this, I highly recommend using a food processor with the blade attachment. 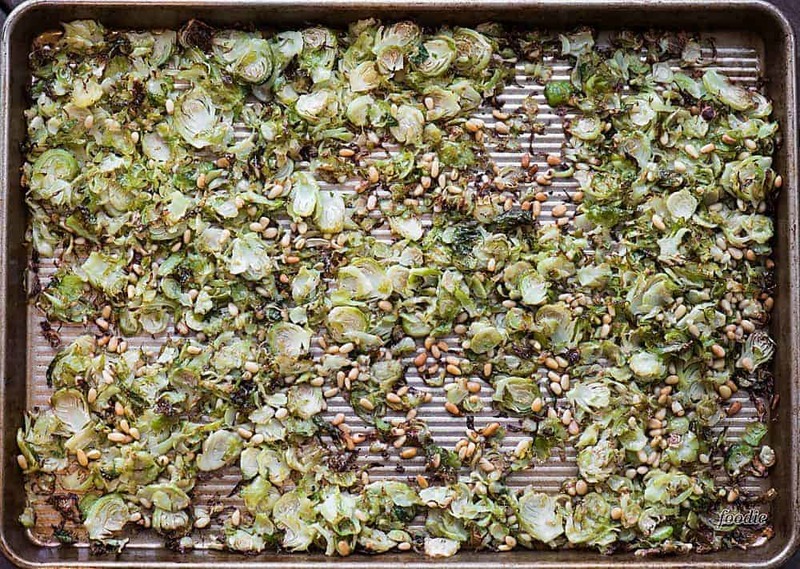 Spread sliced Brussels sprouts into an even layer on a large baking sheet. Add half of the olive oil (about 2 tablespoons) and toss to evenly coat. Spread into a thin layer and roast in oven for 30 minutes. Halfway through the cooking time, add the pine nuts, stir, and spread out to an even layer. Remove from oven and allow to cool to room temperature. 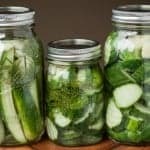 This can be made ahead up to this point and stored in the refrigerator in an airtight container until ready to serve. Add roasted Brussels sprouts and toasted pine nuts to a large bowl. Add remaining olive oil, lemon juice and zest. Toss to evenly coat. Add almost all of the parmesan and pomegranate seeds, reserving some for the top. Add salt and pepper to taste (it may require up to a full teaspoon of salt to offset the bitterness of the sprouts and the tartness of the lemon). Spoon into serving dish and top with reserved parmesan and pomegranate seeds. This salad sounds amazing! Brussel sprouts are one of my favorite sides during the fall season. I know I would love this. Wow this salad looks splendidly delicious! I love the idea of the roasted sprouts and all the contrasting colors make this salad look so inviting!! Yummy!!! BTW, going to have to try this shopping service for sure! 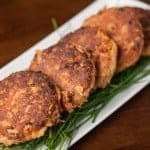 I love the look of this dish! The little bit of sweet pomegranate I bet makes it perfect. These brussels look delicious! Love the pine nuts, and your photos are truly stunning! Yum! 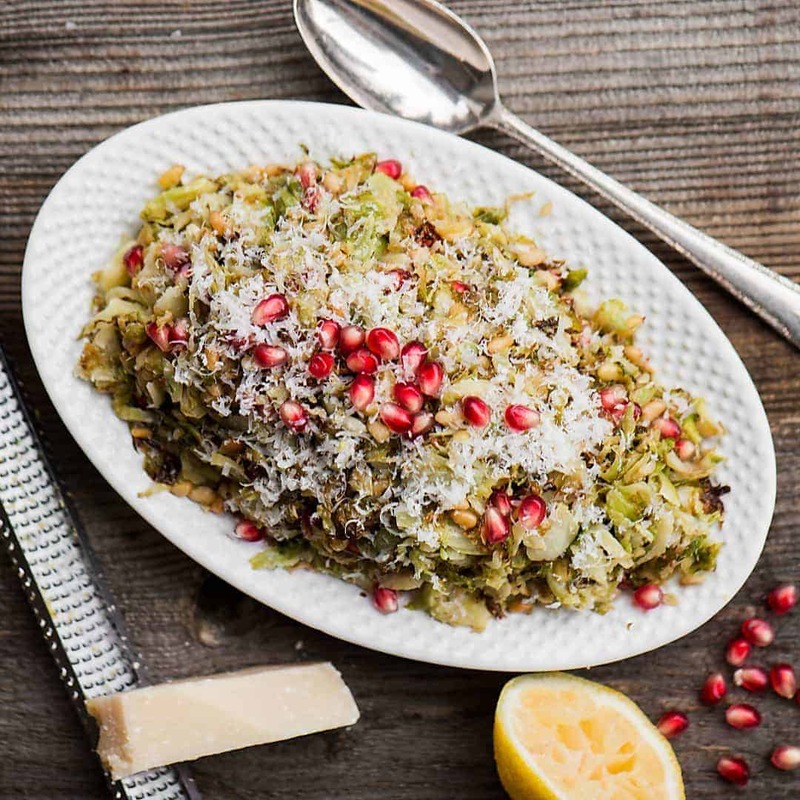 I can never get enough of brussels sprouts – I love the addition of the pomegranate and Parmesan! 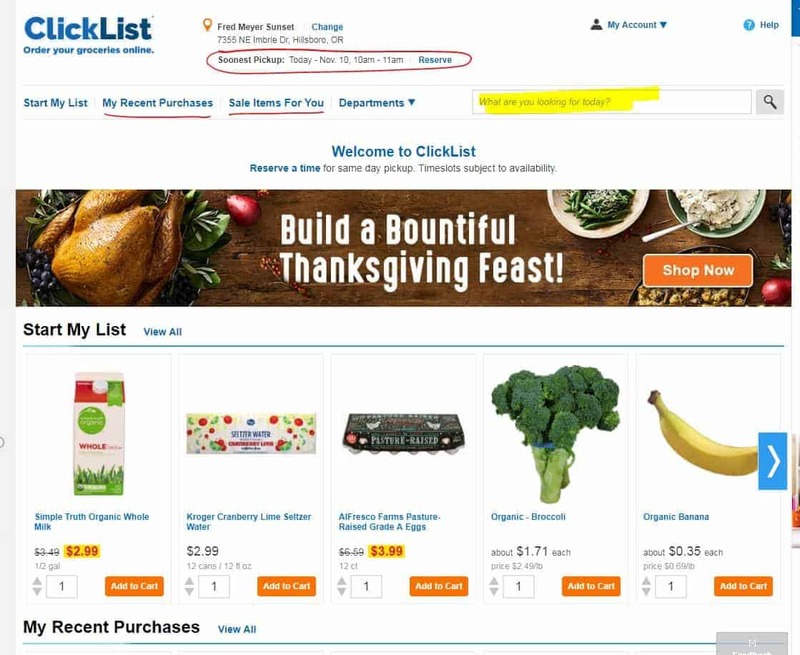 Also love Clicklist at my local Kroger stores – so convenient! this looks incredible! can’t wait to whip this up to get me ready for spring!! The pomegranate is what makes this recipe magical!! LOVE love love this salad. Roasting the sprouts brings out so much flavor! We love finding new ways to use Brussels sprouts and I think this is it! Love the addition of pomegranate! I love all of these gorgeous colors! Beautiful salad!